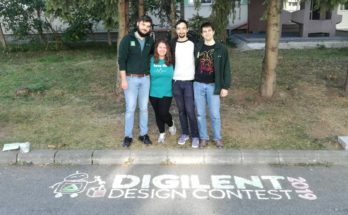 The Digilent Design Contest EU is now in full swing! It has a series of steps contestants are required to follow. This year a new, fun-to-follow requirement was added. 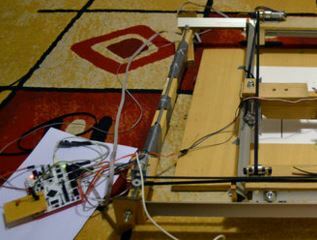 We welcome Instructables! 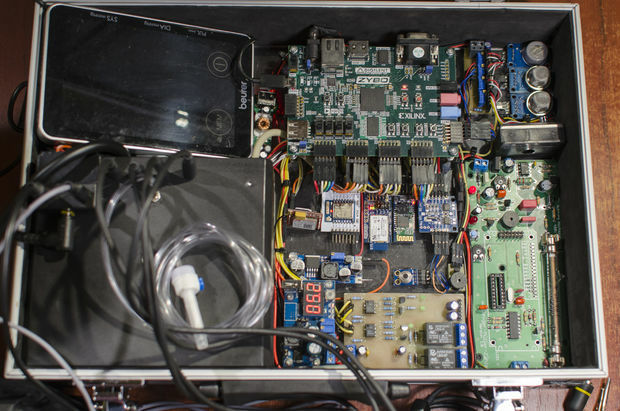 After the initial stages of enrollment and registration, each team with an approved project was supplied with one of the following contest development boards. 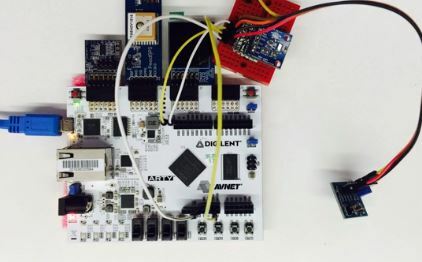 In addition to choosing their device, qualifying team projects are allotted up to three Pmods to add functionality and to extend the capabilities of their chosen FPGA device. Below are two examples of the 2016 projects using Pmods. The excitement is definitely ramping up when we can see pictures of creations in progress! We call this the “Pre-evaluation phase”. For 2016, the pre-evaluation phase is where the Instructables come into play. Each team posts their project to Instructables using video, pictures, and text to describe the vision they seek and the progress they have made. Our judges monitor the results, and eventually decide which teams will be invited to present at the finals in Cluj-Napoca, Romania, in mid-May. 2015 Design Contest participants and judges pose for a picture in the courtyard. The coolest part about having these projects available on Instructables is that, you, the reader, can check them out now! We invite you to comment, share, and follow your favorite projects all the way to the finals. I’ve captured a few highlights below from the projects posted thus far for 2016, but you can find the Instructables link to all of the entries here. Take a look at these clever projects. From Human DNA to rockets to air hockey, there is something to interest just about anyone! 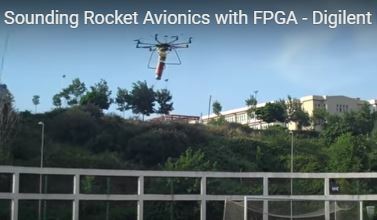 Sounding Rocket Avionics using the Arty. Watch the video! MATIMI (Monitoring and Assistive Technologies for Individuals with Mobility Impairments), using the Zybo & PmodBT2. Watch the video of the CNC Drawing Machine using Arty & the PmodBTN. 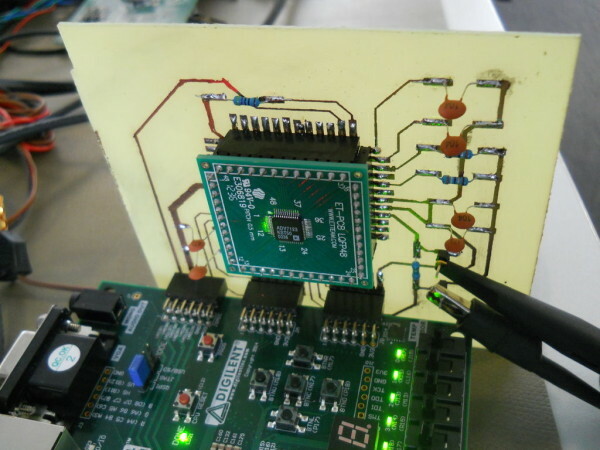 Radio Transmitter using the Nexys4DDR. Bookmark this link to check back often. 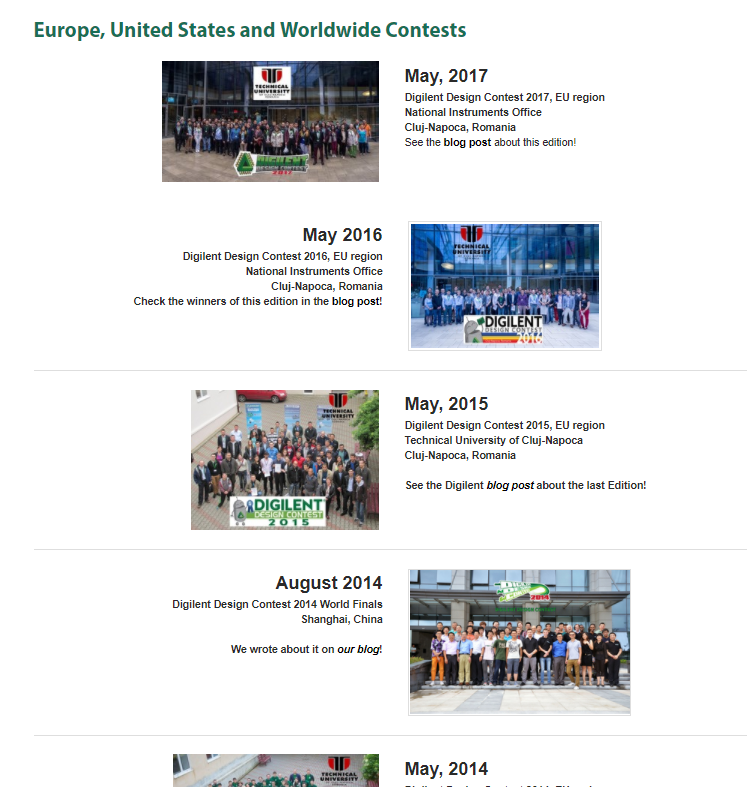 New projects are being added and updates are expected until the finals submissions are due in early May. Please browse and enjoy these creative projects, and if you love an idea, be sure to let the team know via the comments available through their Instructables page. Congratulations to all of the participants and good luck to all! 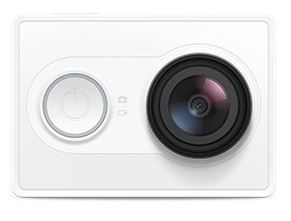 Stay tuned to our blog for contest updates, or follow us on Twitter and Facebook.